A Worldview from 80'E & 25'N: Rise. Resurrect. Rejuvenate. Arm-seat Action, Mundane Fantasy, Strictly Personal. Media, Cinema, Sports, Culture, World at Large. If the Batman can overcome a fatal mortal threat in the most primitive fashion, who are we not to try? A sonata, to punch on the keyboard. If you grow up in small-town India, getting access to Phantom and Mandrake was a darn side easier than the adventures of the DC and Marvel heroes and heroines. Those days, the Marvel posterboy Spiderman was brought in to our lives courtesy the Saturday afternoon airing on Doordarshan. Even now, when I have access, the international publications seem unaffordable. It is actually the digital medium and the smart handheld-device explosion that has been a boon. The ability to download comics for a couple of dollars (or even free) is so much more convenient than the six hundred rupee paperbacks available in book stores. Over the course of seven years and three films, Christopher Nolan has paid a tribute to Batman which Bob Kane maybe have never dreamt of, but would surely have been very proud of. In fact, if you analyse Nolan's entire portfolio of the four films (including Inception) in the given timeframe, it is only the first and last that are possibly comic superhero movies. The Dark Knight and Inception (the interluding two which really created Nolan's legend) are more psycho-thrillers exploring the (destructive) capabilities of the human mind. It took the brilliance of the late Heath Ledger's Joker to relegate the protagonist to a glorified extra in his own flick, refer my earlier love paean. Please do read an excellent review by Mark Hughes in Forbes magazine (thanks Svety). If you discount his Oscar predictions (I am sure none of the Acting Performances will even get a nomination), I quote him. "Christopher Nolan changed everything when his Batman Begins brought to life the Batman I’d always dreamed of — no, actually, that’s not entirely correct, because the truth is that the Batman films I dreamed of were nowhere close to as good as what Nolan created. But what he created was the Batman I had been waiting for all my life, even though I didn’t know precisely what it was I was waiting for. Batman Begins made me feel, “This is Batman, this is what Batman was always meant to be, what he has for 65 years been journeying toward, and now he’s made whole at last.” So it was a shock when, in 2008, magic happened and Batman got even better on film. 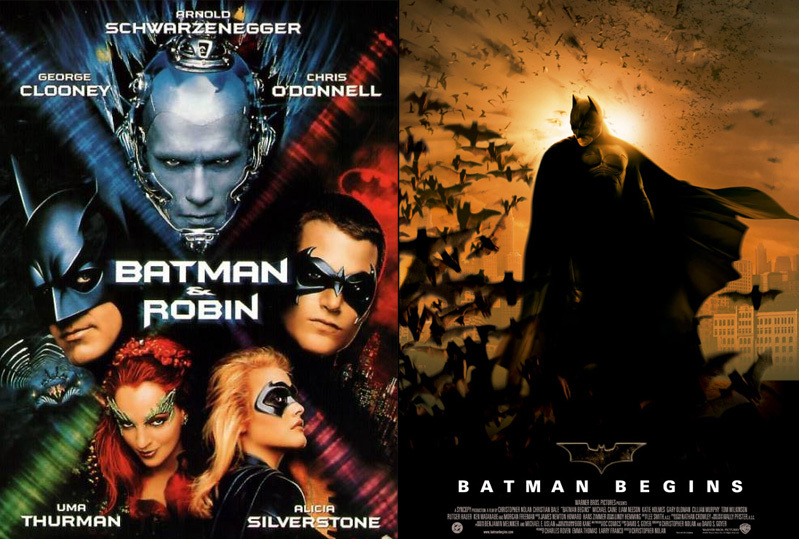 The superhero in cinema was redefined, the simple notion of “comic book genre” rendered obsolete, by The Dark Knight. It was a crime thriller, a police and gangster drama set in a world we could recognize as very close to our own, and in which the main character happened to wear a Batman costume. After seeing it, I had the feeling that “my” Batman, the one I’d been waiting for, was now fully formed, and I admit I didn’t know if it would be possible for any future Batman films to live up to what The Dark Knight delivered." The Dark Knight Rises, Nolan's most compelling completion of the trilogy, is cinematic intelligence at its most subtle. 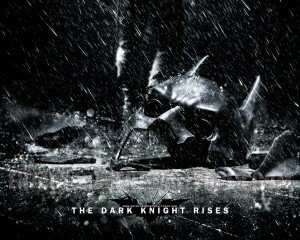 Comparing this film to The Dark Knight is foolhardy. With his trilogy, Nolan has created on celluloid a world full of intricate and exciting details, not too dissimilar to what JK Rowling did, but the task made more difficult by the nature of the medium. I have seen the earlier two flicks sufficient number of times, and marveled at some of the trivia in the last film being hinted at earlier (remember the flying Bat hinted at in The Dark Knight). In his finale, Nolan captures many potential influences. The sighting of the Batman is a straight lift from Frank Miller's seminal novel. 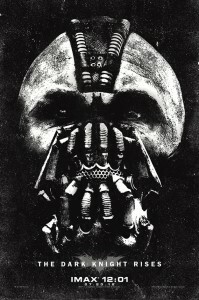 Blake's identification of Bruce Wayne as Batman is actually the way Bane does so in the comic (do try and figure out how Bane would have done so in the film). The Gotham revolution is A Tale of Two Cities meets Doctor Zhivago. And finally the rise is Rocky training as he gets a challenge similar to Superman II. We Indians can take immense pride in the Rise literally happening at Jodhpur. How difficult would it have been for Christopher Nolan to make The Dark Knight Rises. And honestly, while the brilliantly run marketing campaign did its job in building anticipation, it could raise the expectations sky-high only to shatter them. I had to go and watch the movie twice, because the first time round, I was too busy predicting the plot, before I got sucked in to the climatic crescendo. I can not think of a better climax for any movie in the recent past. And to mull on another symbolism, was that the first time we actually saw the Batman in daylight? With an iconic Joker to replace (who as an act of great respect is not mentioned even once in the movie), the villain would have been the most difficult choice. If Heath Ledger was alive, he would surely have got a run at the Batman again (the prison-break? remember he does not die). Initially, Johnny Depp was rumored to play the more popular Riddler, but to settle on a relatively archaic Bane buried all potential comparisons. I am still wondering how exactly did Tom Hardy bulk up for the role, to have a neck the size of most people's waists. Anne Hathaway as the Cat Burglar (never referred to as the Catwoman) plays the spiciest character. And Bruce-Alfred conversations kept giving the series progressively better moral fibre. Boy, am I glad to live in the times of Christopher Nolan. So far the best film I had watched this year was Martin Scorcese' Hugo, took me back to an innocent age. Nolan, narrating the story of a man with a cape and a cowl, actually helped me grow up. loved it..am going to share it too..
Hey looks very nice thanks for posting. (C) AbhigyanShekhar. Picture Window theme. Powered by Blogger.